Warren Haack gives a quick and personal introduction to this show. 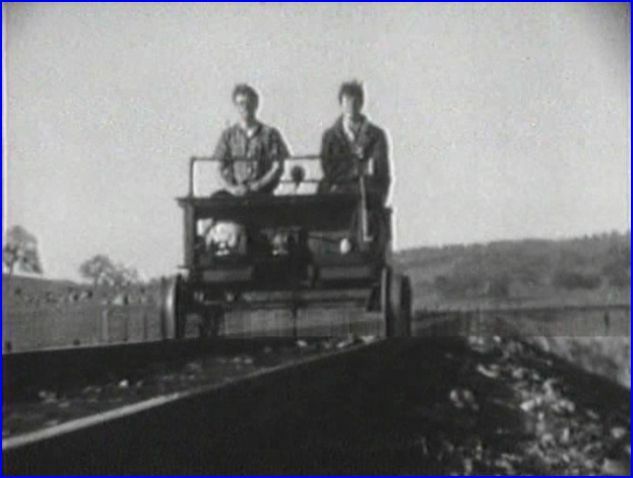 Imagine, traveling the abandoned trackage on a speeder car! You will see it here. 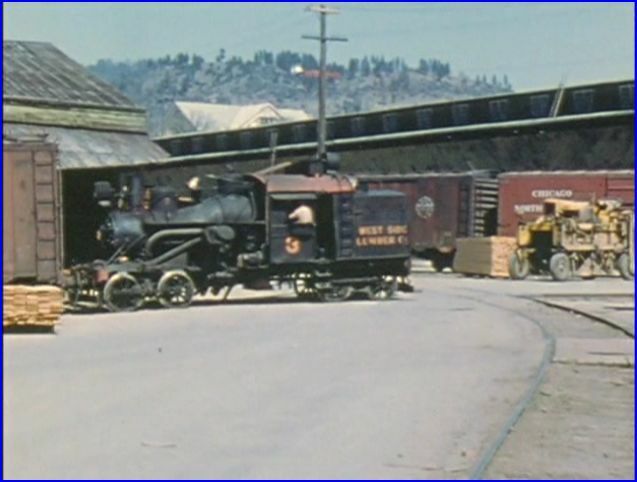 Sierra Railroad 1948- 1979 is the main, featured railway. Early fantrips dating back to the 1948 and in color! 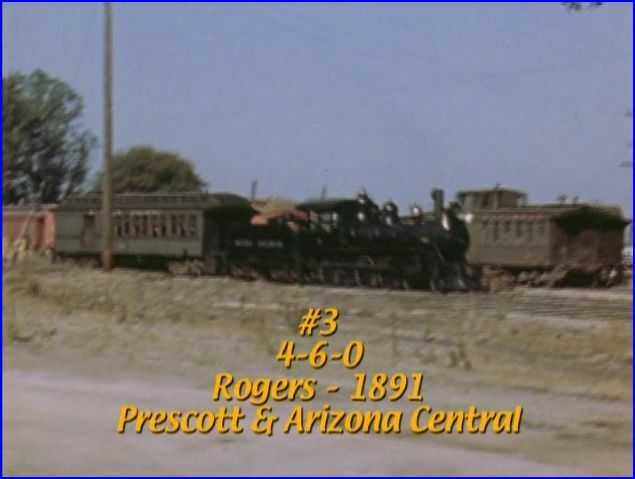 The ancient Rogers steamer leads a train, that looks like a vision from the western frontier days. The soundtrack is very well done in this rural area. Number 12 now heads the excursion. Looks like multiple trains and various locomotives in this fine chapter. A nice assortment of viewpoints ends at Standard, with some of Pickering Lumber steam fleet at rest. Maps are frequently referenced to track train location. The Angels Camp is up next. A pair of oldtimers who worked the line reminisce. West Side Lumber gets a visit in Toulumne. Diminutive Heisler #3 is operating as a switcher. It is dwarfed by the freight cars. 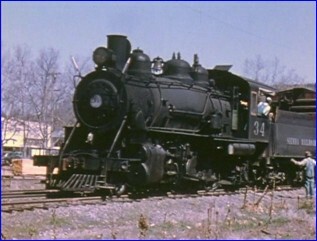 Sierra Railroad #34 pulls a train out of town and more. Many good sequences of the train moving through the countryside. This film material acts as a time machine. The viewer gets to see period vehicles and people interact in the scenes. 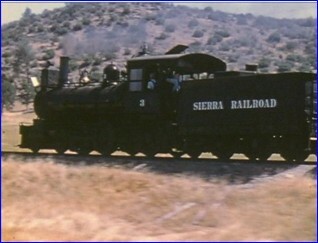 Six Sierra Railroad steam engines are viewed while they were in service. Mainly a show of freight trains. The fantrips are the passenger service. Our narrator, Warren gives a rather sparse narrative. He lets the natural sounding audio sounds predominate the trainwatching. Some additional info would have been welcomed. The program runs fine, just as it is presented. There is a menu selection that offers ‘ no narration’. The films have a nice, clean appearance to them. It contains mostly color footage. The audio has a richness to the soundtrack. Modern production has its advantages. A well balanced and fun show to see. Speaking of production. 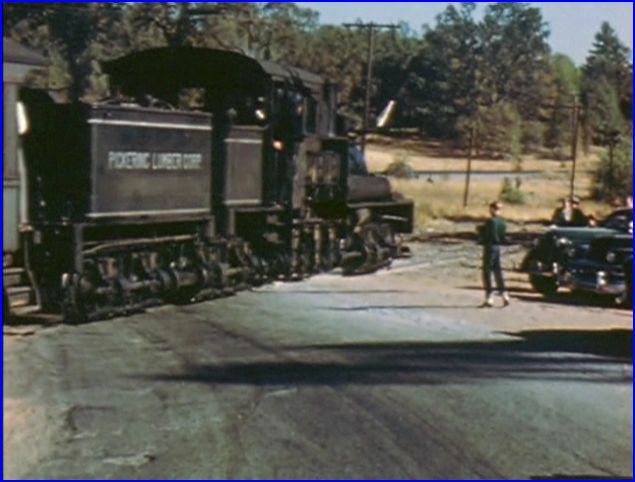 Hollywood has filmed over 300 productions themselves there.The Sierra was willing to decorate the railroad to order. 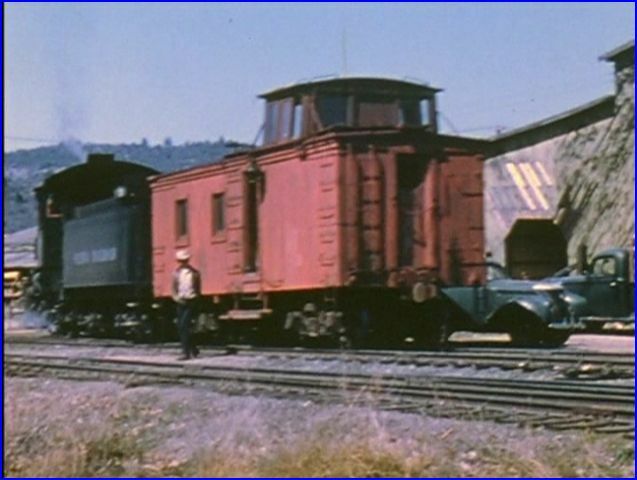 Petticoat Junction is the one example that is shown. High Noon is one feature movie. Jamestown Roundhouse was intact, and over 100 years old. Al Lehr, is a former brakemen. He discusses the machining and blacksmith area. A current chapter on the restoration of Rogers #3 brings us to the contemporary time period. Number 28 takes a spin on the turntable. The 77 year old locomotive pulls passenger excursions. 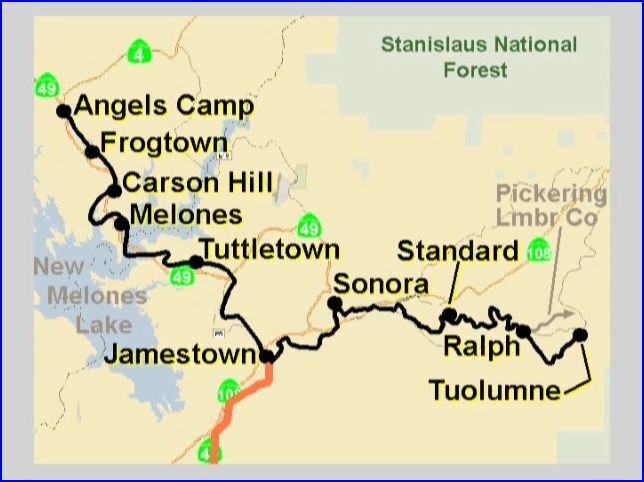 Sierra operations are seen, right into 2009. A look at various 1970’s fantrip specials conclude the trainwatching. By the way, do follow the narrator’s suggestions to see other Catenary Video titles for greater looks at Westside, Pickering’s Sugar Pine, etc.. They each tell their own, unique stories. 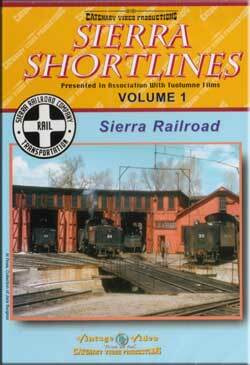 Sierra Shortlines Volume 2 has also been reviewed on ATVR. This is a well produced program. It is less vintage focused then some of the other, similar Catenary Video shows. That is also the nature of this survivor railroad. Starts off strong with plenty of early, action segments. The pace slows over the 2nd half, and picks up again near the end. An enjoyable show overall. 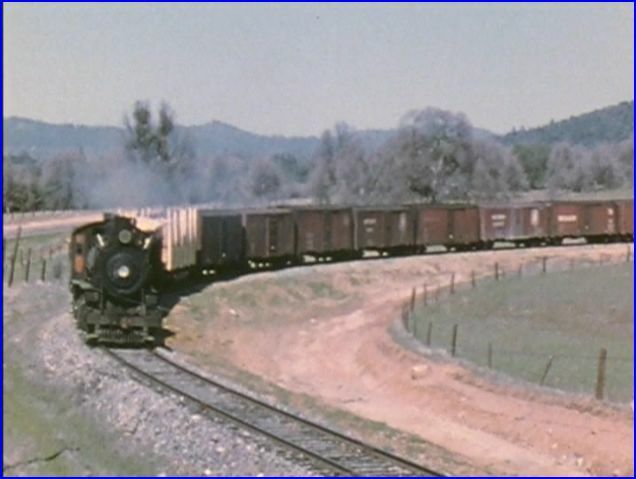 This entry was posted in ATVR Reviews, Catenary Video, Steam Train Reviews and tagged American Train Video Reviews, California, Railroad, steam train, Train DVD, train video, train video reviews, transportation by William J. Hudson. Bookmark the permalink.